Cyril uses his magic to make the world a better place. Through shows on recycling, water conservation and creating a culture of sustainability, Cyril shares the message of sustainability in ways which enchant, entertain and educate. Cyril’s magic comes from years of experience as magician, storyteller and Ivy League environmental professional. Cyril the Sorcerer is the alter ego of environmental professional, magician and presenter CJ May. CJ is a member of The McBride Magic & Mystery School, attending classes on-line, at the school in Las Vegas and even teaching a few of his own on environmental issues during Mystery School Monday webcasts. CJ graduated from the Yale University School of Forestry and Environmental Studies with a Master’s in Environmental Management. He continued at Yale, creating the position of recycling coordinator as he planned, implemented and coordinated Yale’s recycling efforts for more than 20 years. As CJ May he provides environmental presentations to professional organizations in a TED Talk style fashion. 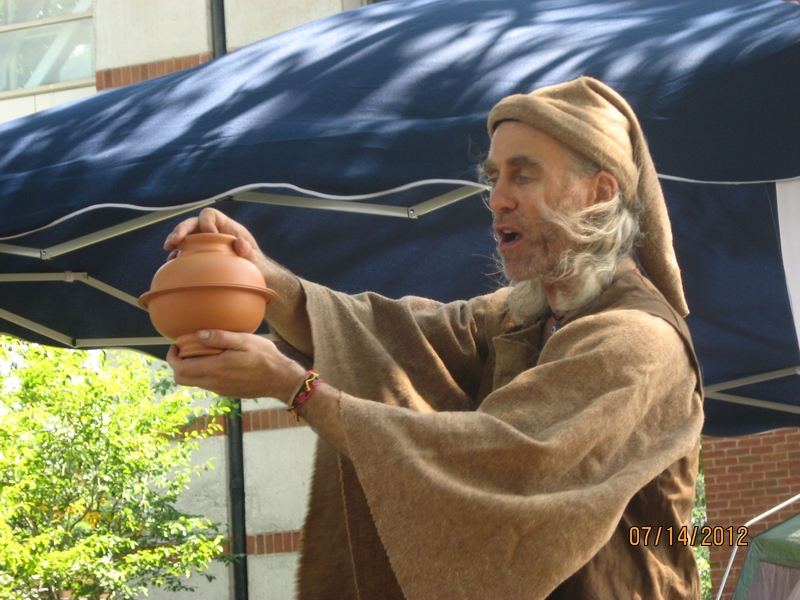 He combines his years of environmental experience with the skill of a magician and the craft of a storyteller in each performance. More than “just a show”, his presentations bring real world, usable information to audiences. Learn more about his “Resourcery” at betterworldmagic.com. CJ was named Fellow to Yale’s Silliman College in recognition of his efforts on behalf of environment and university. He received two awards from Yale for his efforts on campus sustainability. CJ has also served as president of the Connecticut Recyclers Coalition and remains an active member of its board. CJ serves on the Steering Committee for the Connecticut Green LEAF Schools Program.